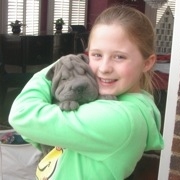 Linda Coffee of Baggins Shar-Pei guarantees beautiful, healthy Shar-Pei, champion show dogs and happy owners. The stable temperament of dogs from the Baggins bloodline is second to none. It's not unusual to walk into new veterinarian offices and have the office staff be surprised at how her dogs are so social and affectionate with complete strangers. Linda is very particular about where she will allow her puppies to be placed. Many people have been irritated by her choosing to place a puppy at a great pet home over a show home. She sees it as her responsibility to place them in a home where they are valued for their companionship not their breeding ability. Though it can be difficult to choose a puppy from a photo, many owners have purchased several times from email pictures. Others fly in to see puppies and take theirs back with them on the plane. Baggins Shar-Pei prices are higher than most due to over 30 years of breed-perfecting dedication and over 100 champions to show for it. A large investment is placed heavily back into Baggins Shar-Pei dogs both in the show ring and at home, so bargain prices will rarely be found here. Thanks for coming to visit our site. 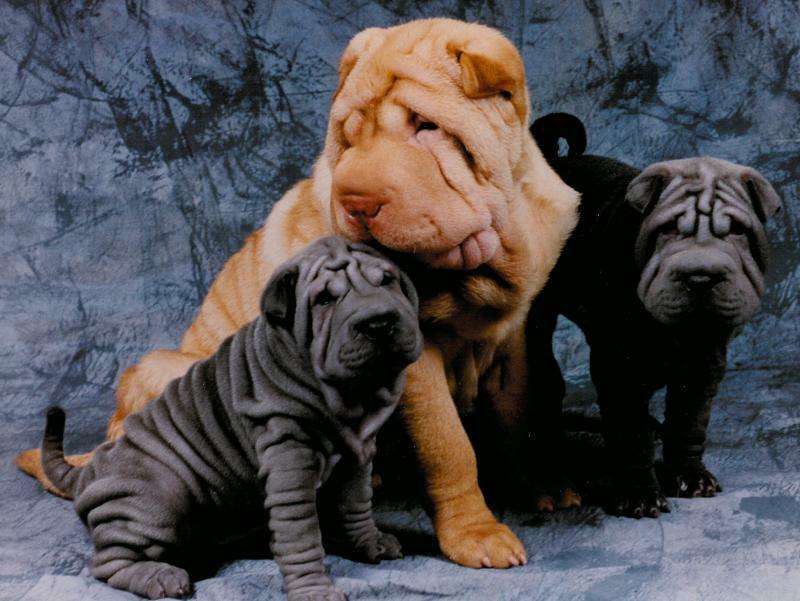 This area of the web site is reserved for Linda to share some of the knowledge she has built up over 30 years of showing and breeding Shar-Pei. Hopefully we'll also see some more adorable puppies and great show wins here.